I traveled up to Oregon with my husband this past August for the first time. It is very GREEN. There was a wild fire going on as we arrived at Crater lake late in the afternoon. The next morning, however, the sky cleared up and revealed the beautiful lake with fluffy cloud reflection in its deep blue water...quite a sight to take in. We did several hikes up many waterfalls along highway 138, aptly named " highway of the waterfalls." 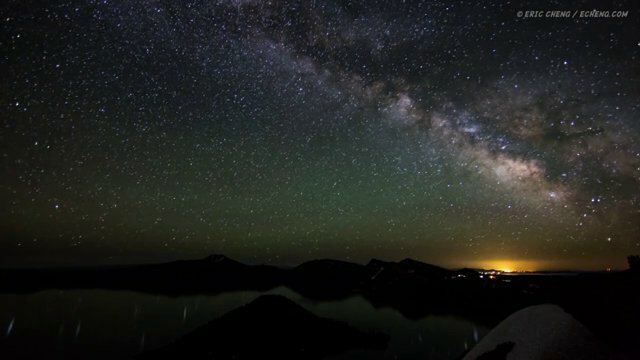 But my favorite experience of the trip was to see the night sky above Crater lake blanketed with millions and millions of stars...I was able to see the Milky Way spreading across the clear night sky... such a magnificent sight that will forever edge in my mind.